Haven’t we all dreamed of a honeymoon where you sit amidst Nature with the love of your life while enjoying a spectacular view? While you sip on a cuppa, let the view serenade you and take your breath away! Sounds too poetic? Well, that’s exactly what we have in mind for you. We bring to you 10 places around Mumbai where you can enjoy a honeymoon with a view! And we will tell you exactly where to stay for these views-to-die-for! This tree-house is the midst of the jungle is the perfect getaway for the weekend honeymoon. Surrounded by lush green trees, it feels magical and seems like something out of an Instagram travel account! More so, if you visit this beauty in the rains! This heritage place is just a few hours away from Mumbai and is the best place for unwinding on a mini-moon! The interiors are done royally and you will feel no less than a royal couple with the treatment and service! This gorgeous property on the beach is a serene place for a relaxed honeymoon. With the hectic schedules during the wedding, you would want a relaxing honeymoon and this fits the bill perfectly! We are all crazy for romantic getaways and when it’s honeymoon, it needs to have a big dose of old-school romance. This cozy and cottage like resort in the midst of the beautiful hill station is just the place for the most romantic honeymoon! This luxurious resort is the perfect place for a quick honeymoon! Their infinity pool overlooks the hills and is sure to rejuvenate you! At this spectacular resort, you will overlook hills and forests as you lounge in their infinity pool. 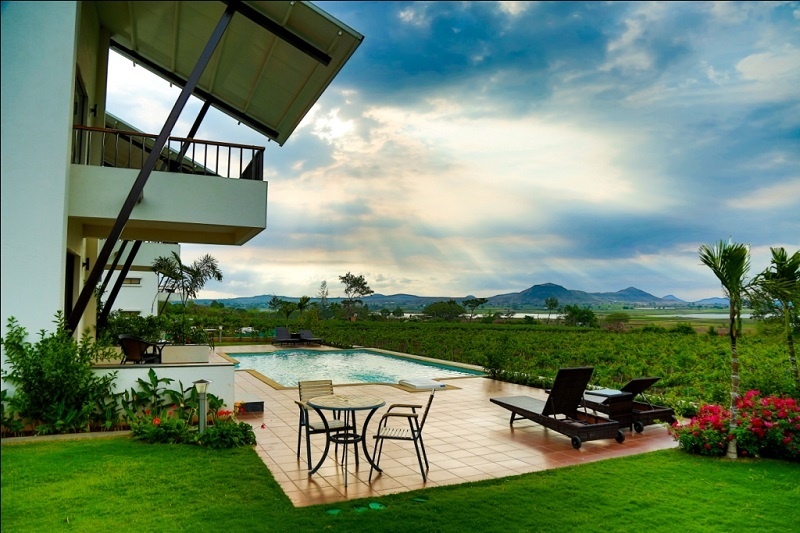 Romance knows no bounds in this gorgeous resort that is nestled between the hills of Maharashtra! Igatpuri combines the best of peace and romance. This serene getaway from Mumbai is one of the best places in Maharashtra for a honeymoon and our choice of resort will leave you with a breathtakingly beautiful view! Enjoy a cozy and laid back honeymoon in the midst of Nature in Bhandardara. The gorgeous surroundings are perfect for those sweet nothings and romance. Enjoying a gorgeous and sipping on some wine? What more could we ask for in a perfect honeymoon?